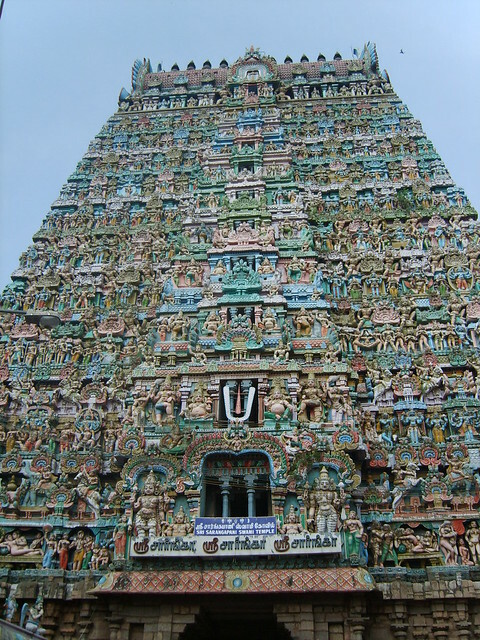 Sarangapani temple which is dedicated to Lord Vishnu is one of the 108 holy abode of Lord Vishnu. It is also termed as “Pancharanga Kshetram”. The main temple is carved as Chariot pulled by horses and elephants which house the sanctum sanctorum with Lord Vishnu. The carvings is such that the God descends from heaven to bless us.